Size : - 4 oz. Description: - The hair follicles need enough nutrients and oxygen from the circulatory system for good hair growth. The Vitamin A in moringa helps develop healthy cells and reduces the problem of hair loss. Deficiency in this vitamin causes dandruff, dry hair, and thick scalp. The zinc in moringa makes your immune system stronger and promotes hair growth. Silica, Vitamin A, and zinc control clogging of the sebaceous glands and drying. Deficiency of zinc makes your hair follicles weak by impairment of DNA and protein synthesis. Calcium, potassium, iron, selenium, magnesium, manganese, and copper in moringa are very useful for healthy hair. Beside black seed oil also makes your scalp and hair stronger and healthier. 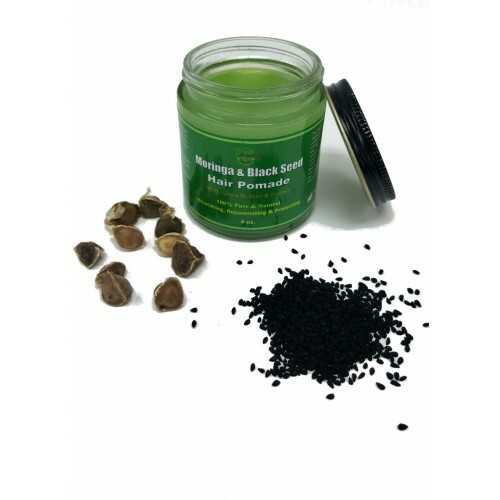 Massage with this hair pomade to control dandruff and split ends. 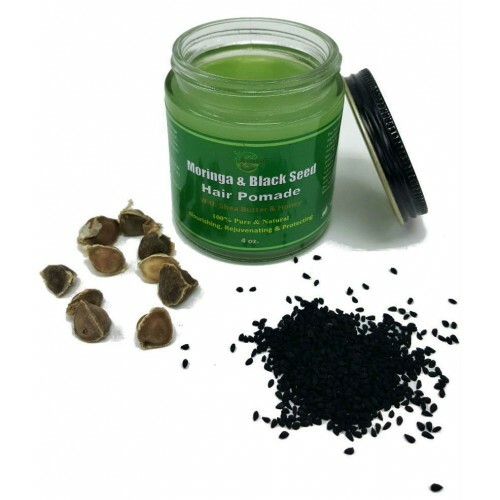 Your hair follicles and scalp tissues get the necessary nutrients to rejuvenate. Use: - Rub a little between your palms to warm up, and distribute through your hair & beard as needed. Great moisturizer for any types of hair, beard and all over the body.